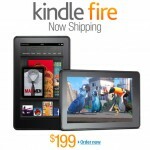 Kindle Fire Contest: Win A Fire On Our Forums! Amazon has already begun shipping the Kindle Fire (Order it NOW for $199.99), and tomorrow, it will unleash itself on the very expecting Android world. The masses will clamor for tips, tricks, support, app/game suggestions and more… and they’ll find ALL of that in ONE place: on our Kindle Fire Forums! To help organize the “Fire Faithful”, we’re giving away a Kindle Fire and requiring the winner to get started by participating in our Kindle Fire Forums. It’s ridiculously simple to enter and it should help kickstart what is sure to be a vibrant community. We already have the biggest and best Android Forums – with over 750,000+ members – and we’re eager to invite the new Kindle Fire owners into our community. Open the thread called “CONTEST: Kindle Fire Forum Contest! What app, game, magazine, newspaper, or other activity are you MOST looking forward to using on the Kindle Fire? What feature of the Kindle Fire excites you the most? We’ll accept entries until tonight at 11:59pm Eastern Time and randomly select a winner from those who have met the above criteria.